Once again this autumn over 700 of our students will make a successful transition to higher education. It’s what most of them aspire to and we have encouraged them and supported them to achieve this aim. We are proud to send more disadvantaged young people to university than any other sixth form in England. Together with many others from Newham they are showing their commitment to creating a better future for themselves and for their community. They are on degree courses which are often essential requirements for skilled and professional jobs. They are the future carers, health workers, teachers, artists, engineers and business people who will provide the health, education, public services, culture, infrastructure and enterprises of tomorrow. Their energy, ideas and creativity will power our country deep into the 21st century. But university is not just about young people studying full time for 3 years. Degrees have evolved to fit around work and to be accessible throughout life and these days many more undergraduates are older and studying part-time. Many courses are highly work-related with projects, placements, internships and sandwich years allowing students to connect and apply their learning to the needs of industry. While the best apprenticeships are excellent, many are not stretching or challenging enough and their focus is always employment with training. They cannot substitute for the broad and full education we need in order to flourish as equal and active citizens of a modern and diverse society. Over the last 25 years we have seen a massive increase in the numbers of young people from Newham taking the step into post-compulsory education. They have turned our borough from an area of low participation to one of high participation. Most stay in East London and help to enrich our community and drive our economy. This should be celebrated as a vote of confidence in the future and we need more of this, not less. Education is not preparation for life, it is essential throughout life. As long as we live, breathe and think, we can learn, grow and work to make our world better. Continuing education should be an entitlement for all adults, not a rationed commodity to be exchanged for crippling debt. Publicly funded universities which are responsive to their local populations could lead the way for a renaissance in adult learning. As vital cultural institutions they should be as open-access as our museums or art galleries; sharing their expertise and resources widely. Our universities should be there for everyone who is ready to commit to their continuing education and no one should be told that ‘it’s not for you’ or have their ambition capped. 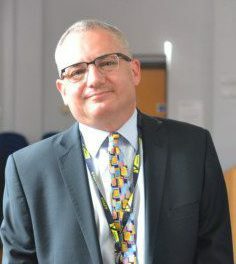 Eddie Playfair is the principal of Newham Sixth Form College (NewVIc). This entry was posted in Education and tagged Cultural heritage, economy, Education, employment, London, Newham, Newham Sixth Form College, NewVIc, Universities, university progression. Bookmark the permalink.